The endogenous cannabinoid system is one of the most important physiologic systems involved in establishing and maintaining human health. Endocannabinoids and cannabinoids are connected to other body systems, which allows communication and coordination between different cell types. Endocannabinoids and their receptors are found throughout the body in the brain, organs, connective tissues, glands, and immune cells. In each tissue, the cannabinoid system has various functions that work together to create homeostasis within the body. Homeostasis is the maintenance of a stable internal environment despite fluctuations in the external environment. The endocannabinoid system is a complexed system that works together with the immune system, nervous system, and all organs within the body. 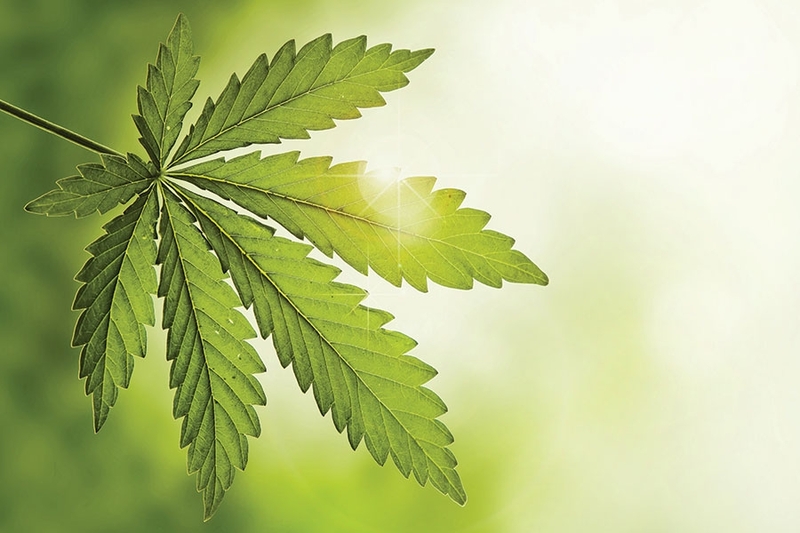 The endocannabinoid system is involved in regulating a variety of physiological and cognitive processes – such as fertility, pregnancy, prenatal and postnatal development, regulation of appetite, pain sensation, mood, memory, learning, and immune system function – and in mediating the pharmacological effects of phytocannabinoids. Cannabinoid receptors are embedded in cell membranes and are believed to be more numerous than any other receptor system within the body. When cannabinoid receptors are stimulated, a variety of physiologic processes occur. Researchers have identified two cannabinoid receptors: CB1 and CB2. CB1 receptors are predominantly found in the brain and nervous system, as well as in peripheral organs and tissues. CB1 receptors are the main molecular target of the endocannabinoid binding molecule, anandamide. CB2 receptors are predominantly found within the immune system and associated structures of the immune system. Many tissues contain both CB1 and CB2 receptors, each linked to a different action. Endocannabinoids are found within the endocannabinoid system and are endogenous lipid-based neurotransmitters that are released from cells within the body which activate and bind to cannabinoid receptors and cannabinoid receptor proteins. Endocannabinoids are localized, and have a short life before being degraded by enzymes such as the fatty acid amide hydrolase (FAAH) and monoacylglycerol lipase (MAGL). Anandamide and 2-arachidonoylglycerol (AG2) are endocannabinoids that are synthesized on demand from cell membrane arachidonic acid derivatives. Anandamide is an endogenous analogue of tetrahydrocannabinol (THC) which binds to CB1 and CB2 receptors and is known to activate TRPV-1 receptors. TRPV-1 receptors are ion channel brain receptors activated by chemical irritants, inflammatory mediators, and physical mediators of tissue damage. The TRPV1 receptors are found in skin, tissues of the airways, gastrointestinal linings, and the outer coverings of the eye. The endocannabinoid anandamide has been identified in various areas of the brain and is thought to have a central role in neurogenic inflammation. Endocannabinoids can effectively penetrate the blood brain barrier, which is a highly selective semipermeable border that separates the circulating blood from the brain and extracellular fluid in the central nervous system. The blood brain barrier acts effectively to protect the brain from circulating pathogens, and may become leaky in select neurological diseases such as epilepsy or brain trauma. The blood brain barrier becomes more permeable during inflammation, allowing antibiotics and phagocytes to move across the blood brain barrier. When the blood brain barrier becomes more permeable due to inflammation, bacteria and viruses are then able to infiltrate the brain. Science is studying the effects of the gut (enteric nervous system) and the medulla (brainstem). Research shows that the quality of bacteria in the gut known as the human microbiome, is strongly implicated in the advancement of diseases and related mitochondrial dysfunction. The microbiome consists of a variety of microorganisms including eukaryotes, archaea, bacteria, and viruses. Bacteria – both good and bad – influence mood, gut motility, and the brain. Studies have shown that there is a strong connection between the human microbiome and the endocannabinoid system. Gut microbiota modulate intestinal endocannabinoids, as well as endocannabinoid signaling. Gut microbiota mediates communication between the central and the enteric nervous systems known as the gut brain axis. The enteric nervous system (gut) consists of a mesh-like web of neurons that covers the lining of the digestive tract. The enteric nervous system generates neurotransmitters and nutrients, sends signals to the brain, regulates gastrointestinal activity, and plays a major role in inflammation. The human microbiome also plays an important role in the health of mitochondria, which are present in every cell in the brain and body, except red blood cells. Mitochondria function as each cell power plant and are involved in regulating cell repair and cell death. Dysfunction of the mitochondria results in high levels of oxidative stress and is intrinsic to neurodegeneration and various disease states, including many neurological and metabolic disorders, obesity, type-2 diabetes, and Alzheimer’s. Studies have shown that gut microbes have the ability to produce inflammatory chemicals that can seep into the bloodstream and damage mitochondria. Damaged mitochondria caused by inflammatory chemicals were shown to contribute to disease pathogenesis. Endocannabinoids are endogenous lipid based neurotransmitters that are released from cells within the body which activate and bind to cannabinoid receptors and cannabinoid receptor proteins. Cannabinoid receptors are expressed throughout the central nervous system which includes the brain and spinal cord. The central nervous system receives, processes, and sends information to the peripheral nervous system. Cannabinoid receptors are also found within the peripheral nervous system which is connected to the central nervous system. The peripheral nervous system includes all of the nerves that branch out from the brain and spinal cord and extend to other parts of the body including muscles, limbs, organs, and the skin. The peripheral nervous system plays a vital role in how information is communicated throughout the body. In clinical studies, cannabinoids have shown to play an important role in maintaining and regulating the processes of neurogenesis and neurodegeneration. In clinical studies, cannabinoids have been known to alleviate symptoms of stroke and traumatic head injuries, which provides an important link between cannabinoids and the immune system. With the onset of inflammation, cannabinoids work with immune cells to reduce the release of pro-inflammatory substances. In this way, cannabinoids can help to minimize pain, reduce damaged tissue, and promote regeneration of neural pathways (neurogenesis). Studies have shown that cannabinoids can help to reduce inflammation and are able to balance the immune system and functionality. In addition to regulating the body’s internal and cellular homeostasis, cannabinoids can influence human behavior with the external environment. Administration of cannabinoids was shown to alter human behavior in a positive way by mediating neurogenesis, neuronal plasticity, and learning. The cannabinoid system is a mechanism that works with states of consciousness to promote health or disease. The skin is an organ that possesses all the elements of the endocannabinoid system, such as endocannabinoid compounds anandamide (AEA) and 2-arachidonoylglycerol (2-AG), as well as CB1 receptors and CB2 receptors. The skin also contains TRPV-1 receptors of cannabinoids and the enzymes involved in the synthesis and metabolism of endocannabinoids, such as FAAH and MAGL. In the skin, TRPV-1 receptors are activated as a response to chemical irritants, inflammatory mediators, and physical mediators of tissue damage. Various elements in the endocannabinoid system are involved in key mechanisms of skin regulation, such as controlling the growth of the epidermis and skin annexes, cell survival, immune and inflammatory responses, the transmission of sensory stimuli to the central nervous system, and the synthesis of lipids, among other functions. In the body, cannabinoids are produced naturally from omega-3 fatty acids. According to studies by the National Academy of Sciences, cascading chemical reactions within the body convert omega-3 fatty acids into cannabinoids that bind to CB2 immune system receptors demonstrating anti-inflammatory benefits. Naturally occurring cannabinoids, such as phytocannabinoids, are plant substances that have the ability to stimulate cannabinoid receptors in the body. Most phytocannabinoids have been isolated from the plant cannabis sativa, which depends on its own cannabinoids for survival and to prevent disease. Cannabinoids found in phytocannabinoids have potent antioxidant properties that protect the leaves and flowers from ultraviolet radiation by neutralizing free radicals. In the body, phytocannabinoids provide antioxidant protection from free radicals that can cause aging, cancer, and impaired healing. Antioxidants found in plants have long been promoted as natural supplements to prevent free radical damage, and are commonly used to protect the skin from aging and skin cancer. Phytocannabinoids, such as cannabidiol (CBD) and cannabinol (CBN), have been isolated from the cannabis sativa plant and have shown the most potential in demonstrating healing properties. 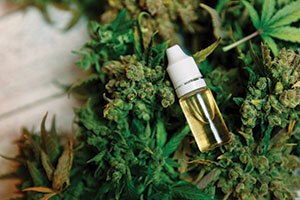 The latest in medical science are the benefits of cannabis oil, also known as CBD oil. Cannabis oil can contain over 113 cannabinoids and is known for its medicinal benefits and potent anti-inflammatory abilities. Phytocannabinoids can also be found in plants and essential oils, as well as found in flavonoids. Flavonoids are found in polyphenols, such as green tea, and have potent antioxidant properties. Medicinal herbs, such as echinacea purpura, have been found to contain non-psychoactive cannabinoids, as well. Phytochemicals, such as terpenes and sesquiterpenes, are known to act on a variety of neurotransmitters and receptors in the body. Terpenes are commonly converted to linalool, which is found in lavender oil, and is known for healing skin burns with little-to-no scarring. Sesquiterpenes, such as beta-caryophyllene, has shown to stimulate CB2 cannabinoid receptors. Sesquiterpenes are not only a terpene, but are the first known cannabinoid that is non-exclusive to hemp. Sesquiterpenes can be found in essential oils, which have the ability to penetrate the blood brain barrier with numerous therapeutic benefits. Studies have shown that the skin has cannabinoid receptors and can be managed and improved with the use of topical herbal cannabis. In clinical studies, the immune inhibitory effects of topical THC influenced the interaction of T-cells, keratinocytes, and myeloid immune cells, and has shown to reduce contact allergic swelling and myeloid immune infiltration. Topically applied, THC was shown to effectively reduce contact allergic inflammation by decreasing keratinocyte-derived pro-inflammatory mediators that have stimulated by myeloid immune cell infiltration and independent of CB1 and CB2 receptors. Topical phytocannabinoids were shown to reduce inflammation and may be optimal in managing inflammatory skin diseases, such as rosacea or atopic dermatitis, as well as autoimmune skin diseases, such as psoriasis and scleroderma. 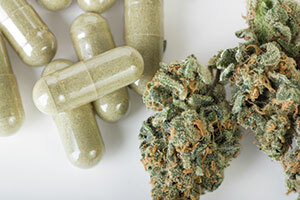 Other types of cannabinoids are synthetic cannabinoids, which are produced in laboratories and can be used to control severe seizure disorders and anxiety. Synthetic cannabinoids are FDA-approved and are commonly prescribed in the medical field to manage disease states. The endocannabinoid system is designed from conception to create and maintain homeostasis balance within the body. A functional endocannabinoid system works with various systems in the body to reduce inflammatory responses and strengthen immunity and is essential for overall health. In clinical studies, phytocannabinoids do interact with the body’s endogenous cannabinoid system by signaling the body to make more cannabinoid receptors. More cannabinoid receptors produced by the body will help to increase the body’s sensitivity to cannabinoids. Scientific inquiry, as well as treatment outcomes, indicate that herbal cannabis has superior medicinal benefits compared to synthetic cannabinoids. Herbal cannabis contains over 113 natural cannabinoids which cannot be duplicated with synthetic derivatives. Studies have shown that phytocannabinoids can enhance the body’s own endocannabinoid system, providing optimal health and preventing disease. Herbal cannabis can be administered through supplements or vaporizers or can be applied as a topical salve to manage inflamed skin conditions. Integrating phytocannabinoids for overall health, as well as homeostasis and health of the integumentary system, is now the latest in medical and dermatological science, with further research ongoing for overall skin health. Linda Gulla is a NSPEP physician-endorsed master aesthetician and is a published writer in cosmetic dermatology whose material has been reviewed and endorsed by dermatologist Dr. Eric Schweiger, as well as the renowned Dr. Abdala Kalil. 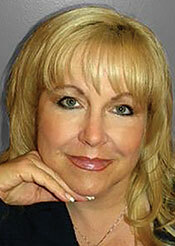 As a published writer, Gulla's expertise can be found in the Milady Advanced Esthetics 2nd Edition. Gulla has shared her expertise with family physicians and dermatologists as an adjunct instructor with the National Procedures Institute, where her material was reviewed by over seven medical review boards and was ACCME accredited. Gulla is founder of the Institute of Advanced Aesthetics and Health Sciences and is recognized as an approved provider with the NCEA COA. Her online self-study program can be found at iaahs.com. 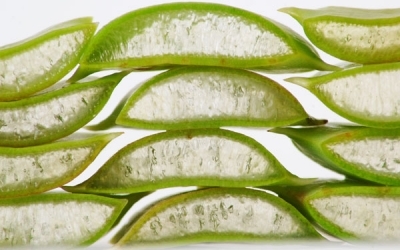 Aloe Vera - "The Plant of Immortality"